Well, it’s official—Another’s Treasure exists! 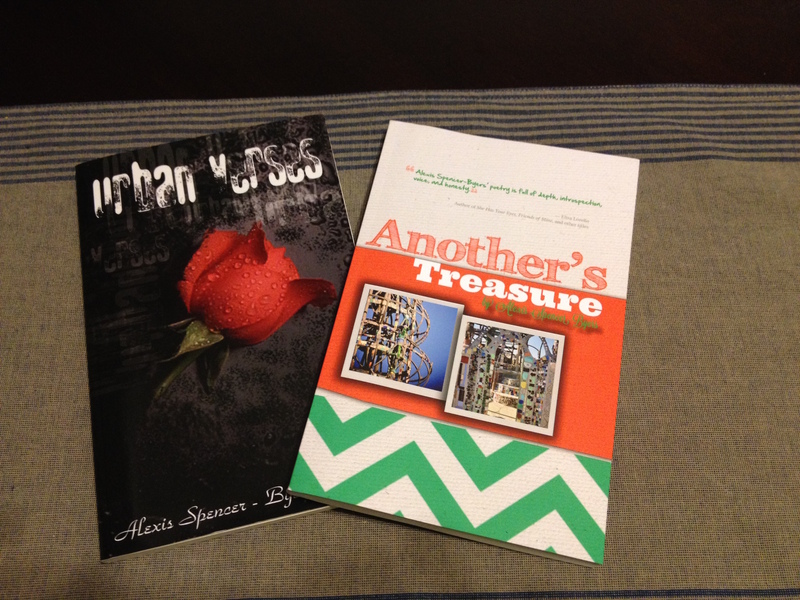 Here she is, getting acquainted with her “big sister,” Urban Verses. I remain overwhelmed with gratitude for/to all the people who helped nurture this project—and me—along the way! I could never have gotten this far without your support, encouragement, talents, and prayers. 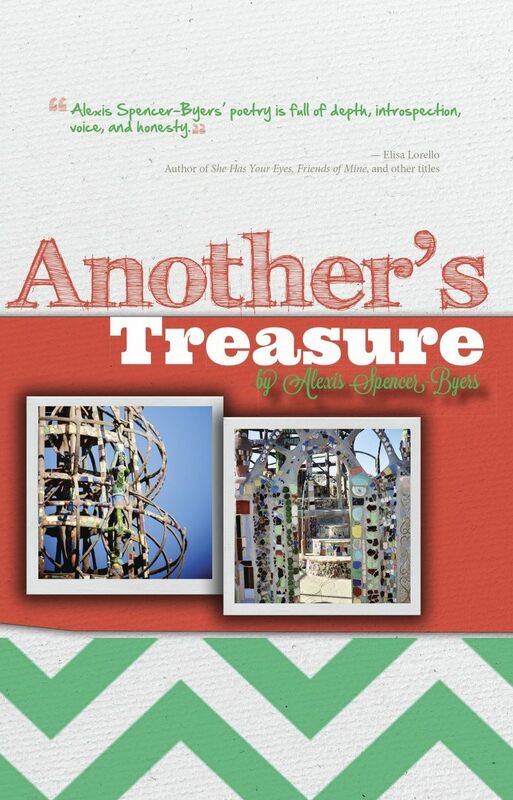 Now, of course, comes the part of the process where I invite anyone who thinks they might enjoy reading this collection of poems about my adventures in cross-cultural urban living in Jackson, San Francisco, and Los Angeles to nurture the project further by acquiring a copy. Books can be purchased on Amazon.com or from me directly (use special pricing code UVB1410 for a little Early Bird discount if you order from the Urban Verses website). If you are in or near any of these areas, I do hope you will come out to visit, enjoy some poetry and snacks, and support a couple of the small businesses nearest and dearest to my heart. Thanks again for accompanying me on this writing & life journey! 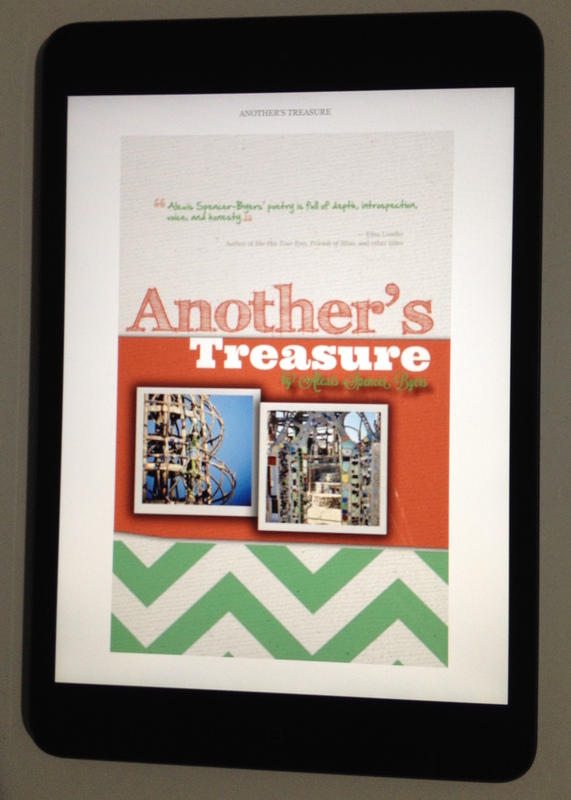 For the past few months (okay, let’s be honest—the past couple of years), I’ve been working on putting together Poetry Collection #2, now officially known as Another’s Treasure. As I’m sure most of you can imagine (or know from your own experience), this has been a time-consuming, emotionally intense, and all-around terrifying process. Much of the time, the prospect of actually completing the book and sending it out into the world seemed like a taunting mirage that was always on the horizon, but never actually got any closer. If you live in or near Los Angeles, San Francisco, or Jackson (Mississippi), stay tuned for information about book-related gatherings in your area. It will be my pleasure to share with you in person some of the poems in this collection, a few of which may be familiar from this blog. For those of you in other parts of the country/world, I will of course be honored if you choose to acquire a copy of the book (ordering information will be forthcoming), peek into my life and mind through its pages, and share any responses you might have to these reflections. Writing about bits of life is always a great help to me in understanding and appreciating my experiences; engaging in discussion with others makes the whole process so much richer and deeper. I look forward to the conversation, and as always I am deeply grateful for the gift you give to me by reading! Thinking about the Montgomery bus boycott last week reminded me of my own life-changing bus moment. Though the two incidents are as different as can be in terms of the scopes of their impacts, they both have something to do with human equality–which is perhaps why I dare to mention them in the same sentence. The actual moment described below occurred years ago, in San Francisco, but some of the reflections have evolved since then, as I’ve moved from a city where transit ridership is diverse in many ways, including socioeconomically, to places where public transit is often regarded as a dividing line between haves and have-nots. I’m going to go ahead and confess that I’ve struggled a bit with this piece. It’s been difficult to get the tone right, and to communicate a bit of the awe I felt in the face of such a specific and unexpected reminder of a principle I believe but don’t always think about during day-to-day interactions: the notion that each human being, no matter their circumstances, has significance and a story–whether that story is consumed and shared by millions or largely played out before an audience of One. I’m still not sure I’ve got it right. to whom they do mean something. to the One who watches over all of us. and the most talented artist. During the years I spent in Jackson, I made several visits to the National Civil Rights Museum in Memphis. There are any number of powerful, painful and poignant stops along the tour of this museum (housed in the former Lorraine Motel, where Dr. Martin Luther King Jr. was assassinated), but for some reason the Montgomery bus boycott exhibit often grabbed my heart in an especially personal way. Perhaps it was because I could literally get on a bus and imagine myself in the situation faced by Rosa Parks and so many other African-American riders back in the day. Perhaps it was because, growing up, I had spent a lot of time on buses and streetcars, and I’d had the luxury of viewing a seat up front, near the driver, as a safe and accessible place. Whatever the reason, the memory of the moment described below has stayed with me—and it continues to contribute to the admiration and respect I have for the courageous, persistent and patient women and men who participated in that era’s struggle for human rights. who presumed to take her seat. and take stock of their options. made the news last night.